Trying incontinence products from retail stores can be an expensive and frustrating business. Most stores only carry a limited range of brands and sizes, and with prices ranging from $15 to $25 per package, the cost to try 5 different products can be well over $100. That’s why Healthwick launched our Free Incontinence Product Sample program. We reached out to manufacturers like TENA, Prevail, Abena, Tranquility and more with the idea of packaging 1- and 2-unit sample packs of adult diapers, underwear, pads and underpads. Most manufacturers thought it was a great idea and now Healthwick has the largest collection of free adult incontinence samples in Canada, with discreet direct-to-home shipping. With our free sample program, we’ve reduced the cost of trying up to 5 different products from over $100 to a flat-fee shipping of $9 to $16 (depending on your province). 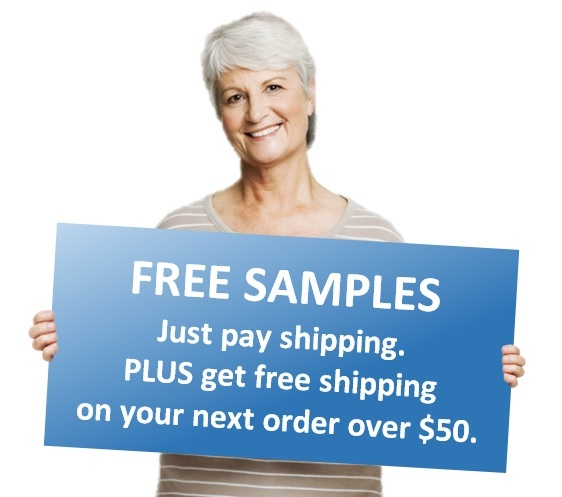 Plus, if you’re just looking to sample, we’ll even pay for free shipping on your next order, once you’ve figured out which product works best for you! If you’re feeling overwhelmed by the free adult diaper samples, free incontinence underwear samples or free incontinence pad samples available on Healthwick, give us a call toll free at 1-877-775-6656 and we’d be happy to help.